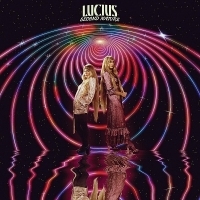 "Lucius is a triple-threat of vocal harmonies, infectious hooks, and dance-inducing percussion. Pair those traits with the band's irresistible live show and it's easy to see why NPR Music calls Lucius "a fabulous band playing such infectious pop songs" and Paste hails the group as "blissful." Charismatic co-founders and lead vocalists Jess Wolfe and Holly Laessig sing in unison - two voices as one - uniquely delivering songs with stories told from the same perspective. Multi-instrumentalists Andrew Burri, Peter Lalish, and Dan Molad round out the stylish, Brooklyn-based quintet."